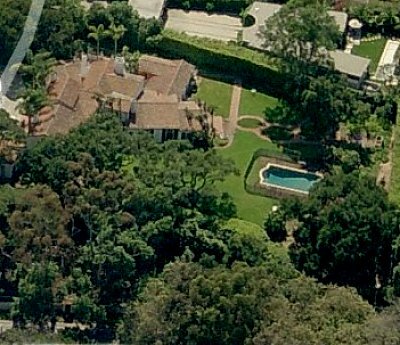 Nobel Laureate Al Gore purchased a $9 million mansion in the luxurious hills of Montecito, California, recently, and with the exception of the Los Angeles Times and Fox News, America's media couldn't care less. You think it might be because the Gore-loving press wouldn't want people to consider the possibility that all of his global warming hysteria was really about lining his wallet and not saving the planet? Certainly not bad for a guy who supposedly was worth between one and two million dollars in 2000. 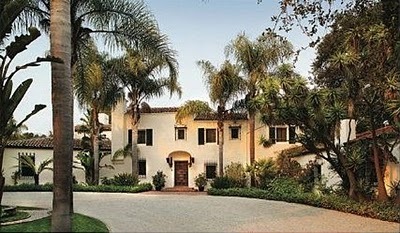 Were the "Always Fascinated by the Lifestyles of the Rich and Famous" press interested? According to LexisNexis, apart from the Los Angeles Times that broke this story last Wednesday, and Fox News's Sean Hannity who spoke about this on consecutive nights last week, America's media were totally mum. You think Gore's adoring press don't want folks to know how much money he's making off this scam? AL GORE: Every penny that I have made, I have put right into a non-profit deal, Alliance For Climate Protection, to spread awareness of why we have to take on this challenge. And Congresswomen, if your, if, if you believe that the reason I have been working on this issue for 30 years is because of greed, you do not know me. Now, imagine for a moment there were actually journalists still in America and not advocates pretending to be journalists. A former Vice President who last year told a House committee he was putting all of his earnings into a non-profit company to "spread awareness of why we have to take on" global warming a year later buys a $9 million mansion with six fireplaces, five bedrooms, and nine bathrooms for him and his wife. Don't you think SOMEBODY should have reported it other than Fox News, the LA Times, and conservative bloggers? Where'd the money come from? Was this purchased by his non-profit corporation, and if so, how does he get away with that? Did he sell some of his Google or Apple stock? And how about some questions about how green the house is? Are there solar panels and windmills to power this facility? If not, what are their plans? Forgetting all of that, if the Clintons, Bushes, or Cheneys bought such a place, do you think the media would cover it, at least as a human interest story? For over three years, Gore's adoring press have followed virtually every move he's made since becoming the voice of global warming. He buys a STUNNING villa as the unemployment rate stands at almost 10 percent and Americans are struggling to regain their footing after 2008's financial crisis, and the media are suddenly disinterested in him? On exactly which planet, be it cooling or warming, does THAT make any sense?